You are here: Home / Jewelry / Bracelets / Store profile: Joden online. It’s been a while since we had a store profile, hasn’t it, my dears? Today we’re going to take a look at Joden World Resources. Joden is a well-respected name already; the PA-based store has recently opened for e-business so now you can admire their pretties from the comfort of your own home! I have yet to visit Joden in person, but Joden online is well worth a visit. They actually reached out and invited me to take a look, and once I saw what they had to offer (and how well their site was offering it) I knew I had to show you, too. I especially enjoyed how the site allows you to sort by price, era or type of jewelry. They also provide clear photos of the jewelry from several angles, and have some really lovely pieces – including a particularly large Giuliano collection. Enough talk. Let’s take a look at some of what Joden has to offer. 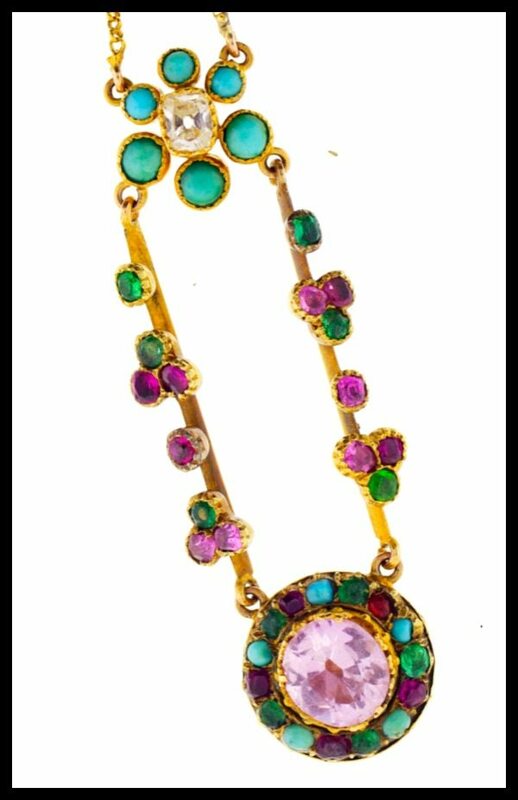 This pendant is Victorian, with emeralds, turquoise, and rubies set in gold. It’s just so fabulously vibrant and unique. 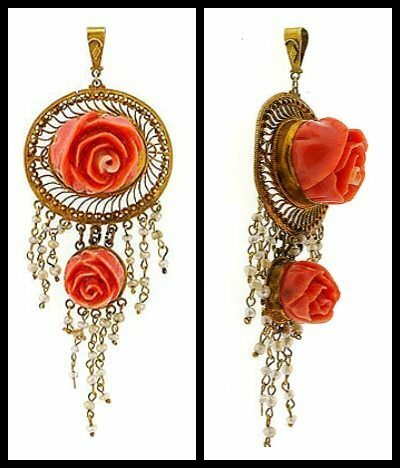 Here’s a pretty Art Nouveau pendant with seed pearls and carved coral roses. I wouldn’t tease you by mentioning the Giuliano collection and then not show you any. 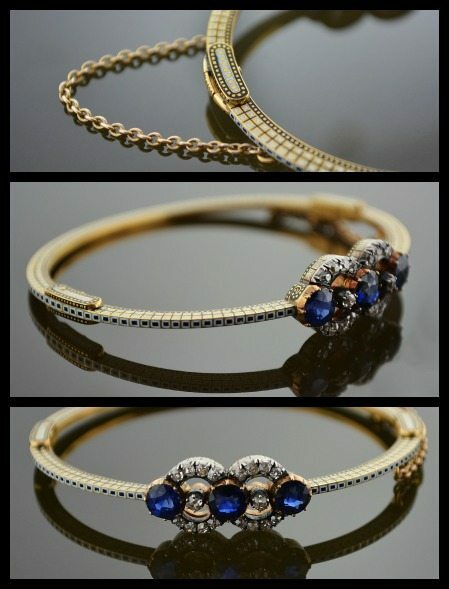 This hinged gold bangle is set with diamonds and sapphire, adorned with plique enamel, and signed “C.G.”. 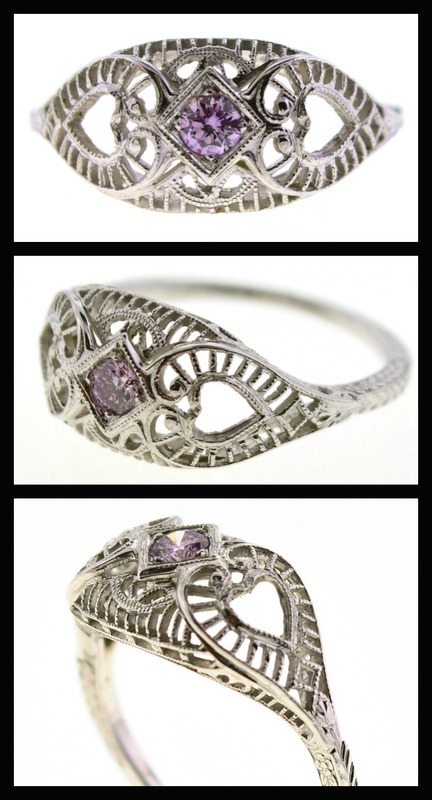 How lovely is this Art Deco pink diamond ring and filigree ring? 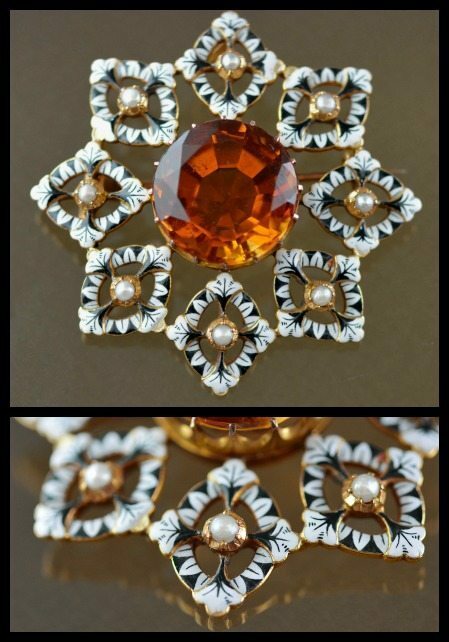 This Renaissance-revival Giuliano brooch features a large orange zircon surrounded by enamel and pearls. You know I love Edwardian bows. This one provides a contrast of softness to the rest of this enamel and diamond locket’s austere lines and monochromatic colors. This juicy emerald, diamond, and opal ring is Victorian and very fabulous. 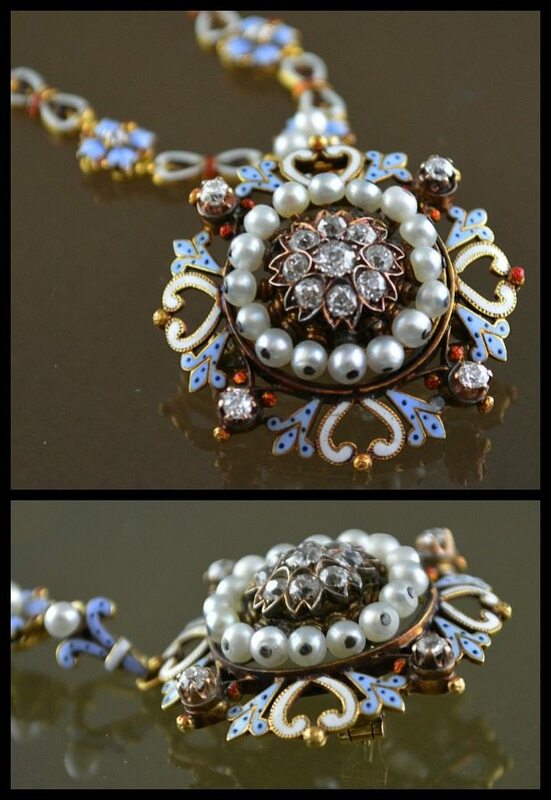 This Art Nouveau swallow pendant is simple but charming. I love the pop of color from the amethysts, too. 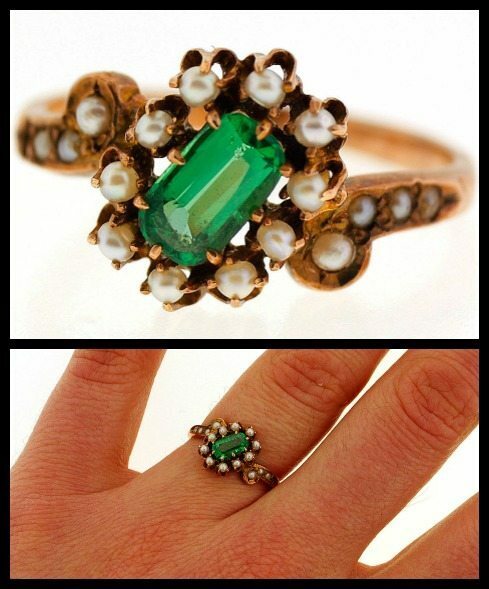 Another Victorian ring, this one featuring an emerald and pearls in gold. And last but not least, another Renaissance revival piece from the Giuliano family. Which piece is your favorite? I would have a hard time choosing. There’s lots more on their website, too. All images and info in this post are thanks to Joden. Joden did approach me about featuring them on this website, but I was not compensated for deciding to do so. My opinions remain my own, as always. 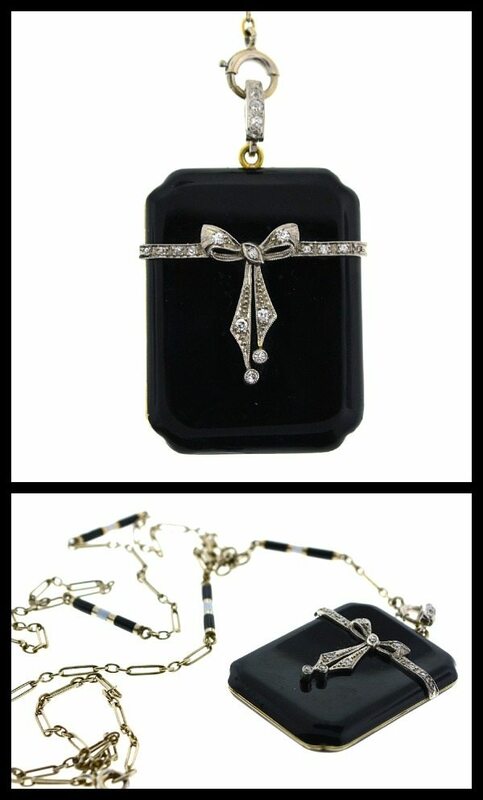 Love the locket. Reminds me a lot of the pendant I designed for Morgan. I assume you’ve seen it but let me know if you haven’t. I may have, but I can’t picture it. I have full faith that it’s amazing, however. Link me??? 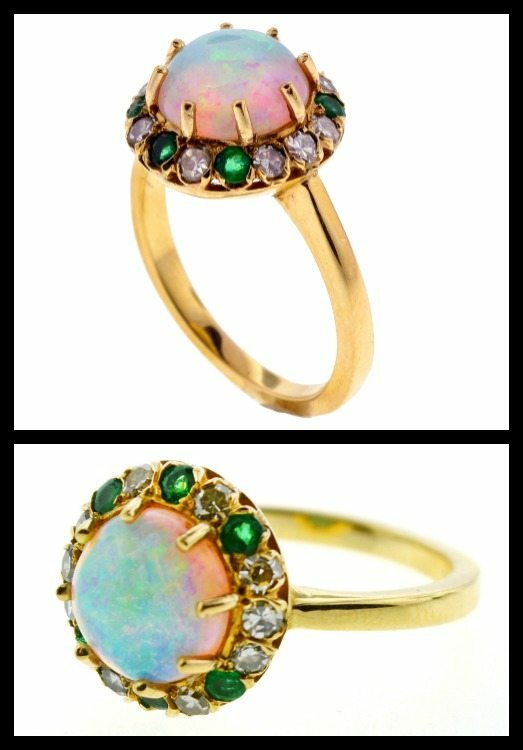 That opal ring is divine!! Isn’t it?? I just love opal and emeralds together. And with the gold too! So lovely.